You are here: Home \ DIY Green \ Environment \ Going Green \ Happy Earth Day to you !!! 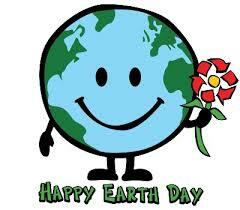 Happy Earth Day to you !!! “Happy Earth Day to you. Happy Earth Day to the Earth we are destroying. This was a tweet by a very famous guy on twitter @TweetofGod and this really forced me to think about the concept of Earth Day. There is no doubt about the importance of celebration of ‘Earth Day’. 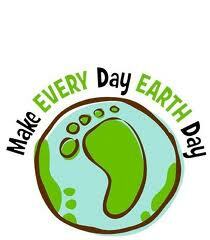 The day marks importance of the planet for us, many programmes are initiated on this day. 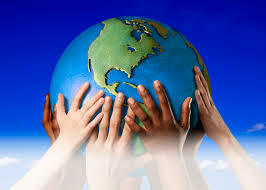 Everyone feels one’s responsibility towards the planet on this day. So may be, on this Earth Day, you decided not to throw that junk on the road. You did not foget to switch off the lights when you left the classroom. Or the tap was turned off when you were brushing your teeth. Or did you plant a tree this Earth Day? Well, in all the cases above, Happy Earth Day to You. Earth Day is celebrated worldwide on 22nd April, marking the launching of many events all around the world which aim to demonstrate environmental awareness. It was first started in 1970 and now is celebrated in more than 192 countries. This has been a part of efforts of United Nations to bring environmental consciousness. Since its beginning in 1970, the event has gained huge popularity and success. The chosen dates are according to the college students, who do not have exams in the week and have holidays like Easter. Thus, the aim of the programme is crystal clear. And it has stood up to its expectation as many countries are actively participating in the programme. But my question is- Is it justified to degrade the environment for the 364 days of our life and one for saving it? Can that one day nulify the events and activities of the rest days? Probably No. The way we are living in our present life styles, it is really difficult to even assume so. A stitch in a time saves nine, but as the condition seems, it has skipped to nine. And if these nine stitches are not made today, future might require ninety in some days. It is scary to imagine that some day in future, even ninety would not be enough. Actually, the pace with which we are degrading the environment is increasing day by day. There was another very relevant tweet to this, which said “They celebrated Earth Day each year, remembering the planet their parents spoke of, from a time before evacuations to space.” Many of us might agree to the fact that is too early to think of such a situation when we have to vacate our dear earth. But that would mean neglecting the present scenario. The rising population and the ignorance of the face that we are degrading the environment are the two major reasons why we are far behind our target of living in a green planet. 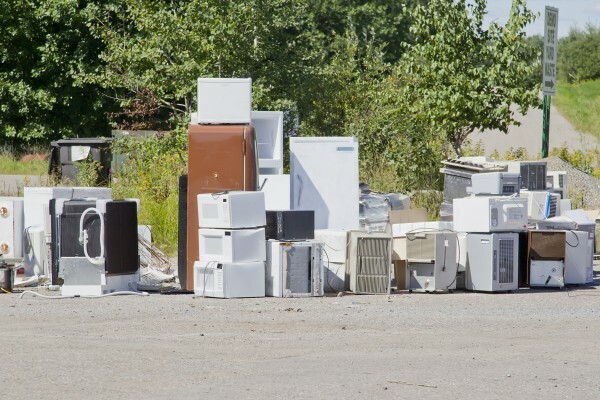 There are claims which say that there is too much buzz about environment, and the actual need is much less than what is claimed by most of the environmentalists. Rather, the need is much more. The number of trees cut every minute will tell you the need to conserve. The litres of water wasted every minute will tell you the need to conserve. The amount of smoke released in atmosphere every second will tell you the need to conserve. Believe me, one day out of three hundred sixty five of showing concern towards our planet will never be enough. We need to turn ourselves into a green individual, a green family, a green colony, a green city, a green state, a green nation and a green world. We need to follow the principles of greenest countries of the world. We need to connect to nature. We need to tell our government, that this is how we will save earth. We need to challenge those industrialists who are too busy manufacturing money, and completely forgetting their responsibilities as a human being. The picture says it enough. Earth Day has been amazing in its share towards the planet. Many many programmes were born on this day. Many many environmentalists are very active on this day. But it is important to make all of us follow green living. And not only on one day, but all the days. It is much easier than all of us imagine. But it will need attention. Habits need to be changed. The growth in population of trees need to surpass the growth in population of humans. We need to cycle a bit more. Is it much that the planet asks from us in return for the infinite favours we get from Earth?